In Nepal, one of the world's most spiritual places, practice yoga and meditation in a variety of breath-taking locations against the backdrop of the beautiful Himalayan mountains. Not only will you visit some of the best destinations Nepal has to offer, but you will also stay at a First Steps Himalaya project village offering an authentic experience with an insight into Nepali life, culture and beliefs. You can be assured of a truly authentic experience! Experience the peaceful, gentle rhythm of rural life, the warmth of the people and their unforgettable traditions on a yoga vacation in Nepal. 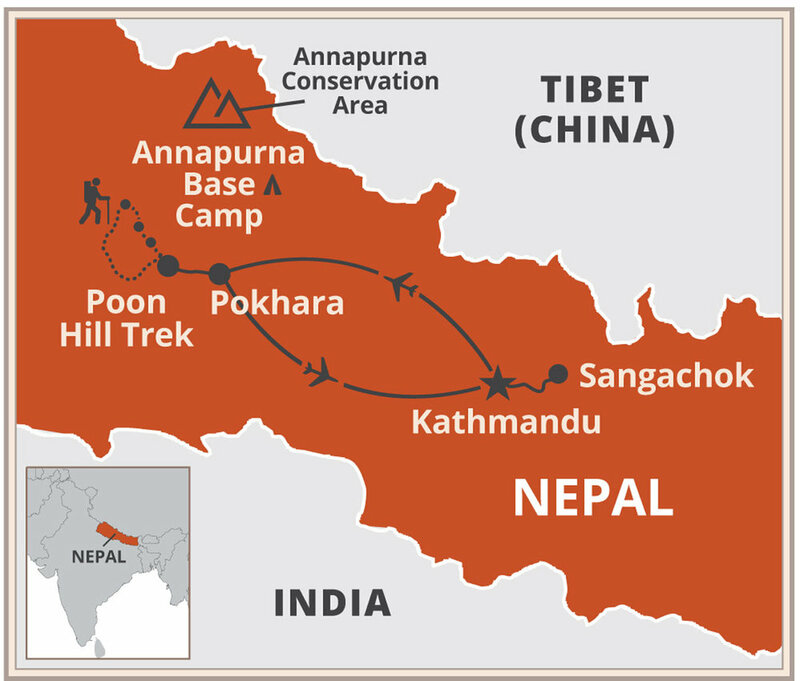 One visit is rarely enough and it can be hard to leave the Himalayas behind! These retreats are led by international yoga teachers, who will share their passion for the power of yoga with you. Suitable for any style of yoga and level of fitness, classes may flow gently, invigorate or be deeply relaxing and restorative. Your Beyond the Clouds Yoga Journey in Nepal will leave you feeling nurtured, realigned and inspired. We are currently planning our future Yoga Journeys in Nepal. Please contact us if you are interested in leading or joining a trip. We also run Yoga Journeys in Bhutan. Click here to view.